Community Events - City Mix Inc.
City Mix continues to be a dynamic presence in our community, and we are proud to be actively supporting several Winnipeg-based organizations and community functions such as the Ladybug Foundation, the World’s Largest Truck Convoy and the United Way. 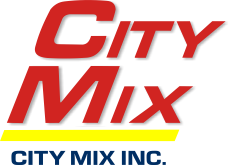 In 2012, City Mix Inc. became a proud sponsor of The CancerCare Manitoba Foundation. The CancerCare Manitoba Foundation is the only organization exclusively fundraising for CancerCare Manitoba. CancerCare Manitoba’s main aim is to eradicate a disease consisting of more than 150 types and stages. A cancer diagnosis can be overwhelming. Up-to-date information regarding treatment options, resources and services are vital as patients and families make their way through the cancer journey, from diagnosis to treatment. Your gift to the Foundation stays right here to fund CancerCare Manitoba’s innovative research, patient care and support. Make a difference in the lives of all Manitobans and their families living with cancer!